During January, I surprised myself by getting a bit More Real. I reluctantly confessed to a rather embarrassing panda obsession and opened myself up to your questions during my Ask Tonggu Momma series, with the most popular question - of course - being why the husband and I chose to adopt from China. The next month, the Tongginator and I made y'all laugh with our conversation about what she CAN draw and cry with our first-ever stumbling conversation about racism. 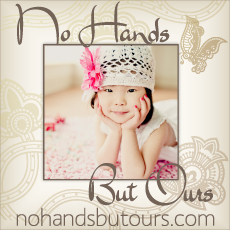 I also joined Stefanie and Amie at No Hands But Ours, a site dedicated to educating others about the China adoption special needs program. The Tongginator kept us on our toes in March, with her newfound loathing of all things snow-related, rainbow eyes and frequent name changes (sometimes even multiple times a day). We also looked back on four years together as a family and recorded a rather boringly low-key (that's code for "her Momma's lazy") butterfly birthday party. In April, I earned a very large lollipop. 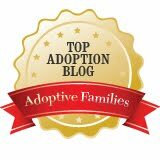 Oh, and I began writing for the group adoption blog Grown In My Heart, too. During the very busy month of May, I turned blue, Mrs. R moved in for awhile and the Tongginator made her presence KNOWN at kindergarten orientation. I also reflected on Mother's Day by writing about a woman I saw On the Outside and remembering my fellow Shadow Women. In June, we waited with bated breath to see if the Tongginator would pick her nose on stage during her ballet/ tap dance recital. (I mean, why not, since she did it during the dress rehearsal?) We also doubled-over with laughter after learning a bit TOO much information about my pastor's wife. We witnessed answered prayers in July, when Two Fish was hospitalized and also during a Tongginator wellness visit, when her pediatrician talked with me about just how far she's come. August felt like an emotional rollercoaster, since I learned I wasn't going! to! die! a! horrible! death! and the Tongginator started kindergarten. Oh, and Lisa and Ivy discovered that the Tongginator? Is really just a heathen in a barbie dress. I cried through the entire month of September, seeing as how I discovered my Mean Mom status, the Tongginator mis-said me so much during school hours AND she asked me "was I cute?" I was also pretty much sick with the swine flu the entire month, which didn't help any. I got all introspective during October, thinking about the past year without my friend Rosie and also how far the Tongginator has come in terms of her sensory processing disorder. Oh, and I almost killed Santa Claus. In November, we witnessed a slightly embarrassing turkey feather, an even MORE embarrassing Tongginator school bathroom experience and many of y'all expressed a desire to steal Tonggu Grammy. This past month led to a few deep, dark confessions involving my rather odd wardrobe choice on my wedding day eleven years ago, the existence of my super-secret snowman collection and my annual Christmas carol murder. Oh, and the Tongginator confessed that she accidentally kissed someone. A boy. Oh, yes, she did. All in all, 2009 felt much easier as compared with the year of losses we faced in 2008. I can only hope and pray that 2010 brings even more love and laughter... perhaps with another small someone to share it all with. Thank you so much for walking beside me as I navigate life, especially during this long wait to adopt a second child. Our Little Tongginator (and I) would not be the same without you. I love reading your posts and have really enjoyed your wit and humor. Here's wishing you all the best for the coming year (in just 43 minutes around this part of the world)! May all your dreams and wishes come true in 2010. I've enjoyed your honesty and adventures. I look forward to reading what this next 12 months bring to your family. Enjoyed this!!! We had similar ideas this year...although if you did this last year then I freely admit to "stealing" the idea subconsciously. I hope that 2010 has more blessings and joy than 2009 did for you! Hoping 2010 is a wonderful year for you and your family! I am so glad to have found you via Grown In My Heart. 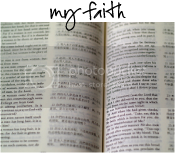 I have enjoyed reading about you and your family. Since I missed the first part of the year I am looking forward to finding some time to catch up on some of those highlights. Happy New Year! Your blog is one of my favorites! You have the best sense of humor and ability to laugh at yourself and the ridiculous that inevitably happens as a mom. I hope 2010 is wonderful for you and your family!